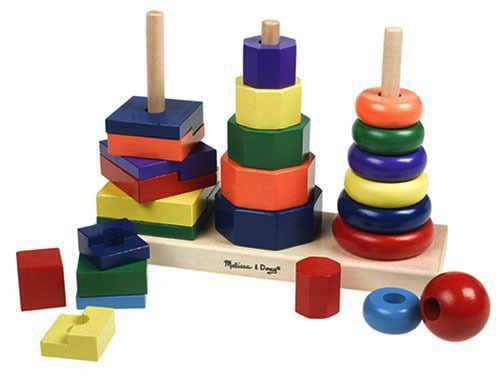 Is your baby getting into puzzles and stacking? 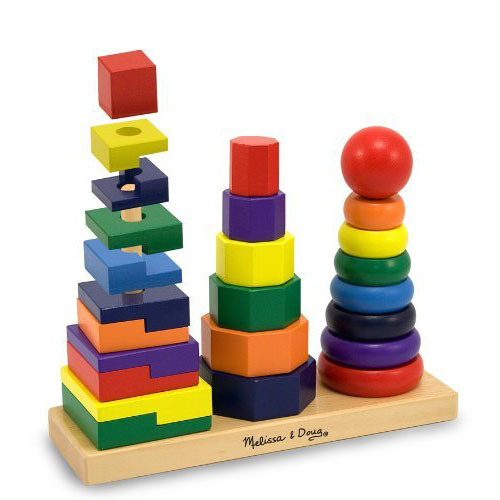 Then, you should get Melissa & Doug Geometric Stacker for your baby. This toy provides hours of fun while developing children’s hand-eye coordination skill as well as shape recognition. 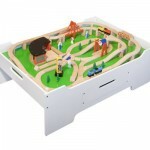 Each piece is made of solid durable wood, your children can stack different shapes and sizes on a solid base. At the same time, this toy introduces your baby to early math concept, it is deal for children age 2-years and up.